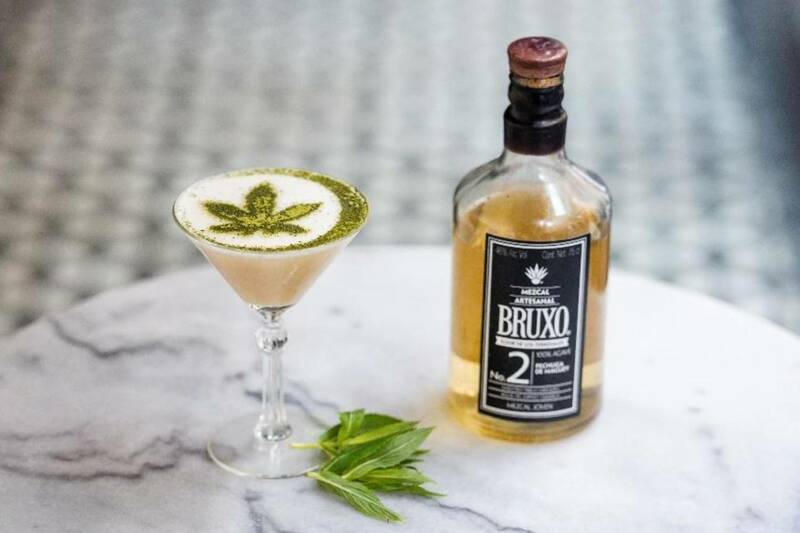 Sydney’s spirit senseis, Gin Lane, are right on time for 4/20 with ‘Smokers’ – a hemp gin based cocktail created by head mixologist Grant Collins. Puff, puff and pass this recipe around for a guaranteed good time. Shake and strain into a coupe or martini cocktail glass. Garnish with smoked sea salt matcha tea and edible hemp leaf. Serve with hemp (cannabis) incense. To reach peak wow, make the following cocktail at 4:20pm on 4/20.